Each year NCRC hosts the NCRC EXPO, an opportunity for groups that enhance the NCRC Community’s quality of life to promote their offerings. In 2016 more than 20 service units at NCRC will participate, showcasing their work for over 500 visitors. NCRC is committed to creating a more diverse, equal, and inclusive workplace. Childcare, support for breastfeeding moms, on-site wellness education and fitness programs, and an interfaith reflection space, as well as the Janus Safety Lab, NCRC Art, and the HighWire installation are just some of the ways NCRC strives to improve the quality of life for everyone in the NCRC Community. The Janus Safety Lab, a recent addition to NCRC, is a demonstration lab used to educate and raise safety awareness for those visiting the facility. It is divided into two halves: a good/right/correct side, and a bad/wrong/incorrect side. A yellow line down the center of the lab provides a visible separation between the two halves and banners on each side identify which side is correct and which is incorrect. 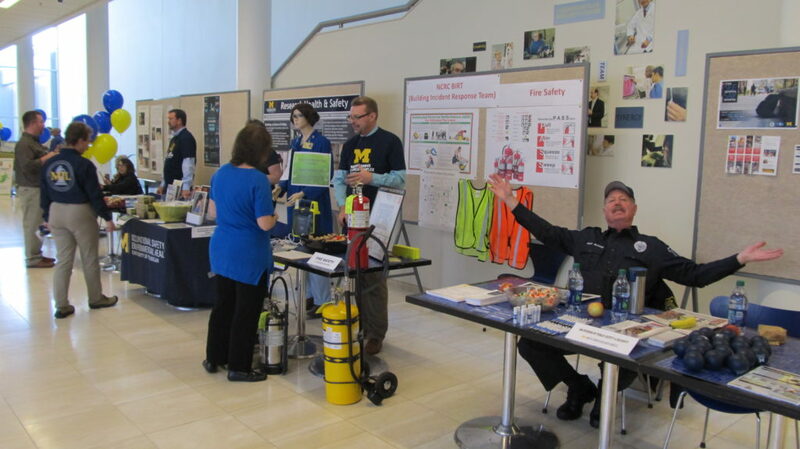 A variety of safety and health topics are presented in the lab, including biological safety, chemical storage and labeling, electrical safety, fire safety, compressed gas use and handling, personal protective equipment, and hazardous waste management. Each right/wrong item is identified with a code and the codes are displayed on wall banners within the lab. A retrospective survey of 14 months of lab inspection data revealed that just 28 of 471 possible items accounted for 58% of all items noted by lab inspectors. NCRC has ensured that these items are reflected in the Janus Safety Lab. The NCRC also has a Building Incident Response Team (BIRT) program to ensure a safe community. 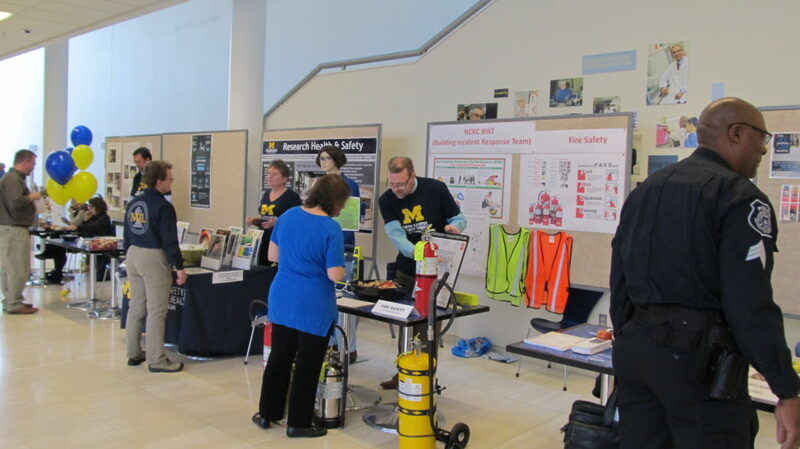 The BIRT program was developed by the Office of Emergency Preparedness in concert with the University of Michigan Police Department, using best practices from emergency first response disciplines. NCRC Building Incident Response Teams are led by NCRC Facilities and are made up of volunteer faculty and staff members from each occupant group throughout the entire NCRC campus. Team leaders are appointed BIRT Liaisons, and are trained to interface with first responders. Together, BIRT Liaisons and BIRT Members will assist in quickly evacuating buildings due to a fire condition, or directing people to shelter in the event of severe weather. Scientists and artists share a common affinity for abstract, imaginative thought. NCRC Art supports the STEM to STEAM educational initiative–the push to include Art & Design with Science, Technology, Engineering, and Math. In the same way that NCRC is invested in supporting emerging research, NCRC Art is invested in presenting the work of emerging artists, alongside thought-provoking art by established artists. With a year-round schedule of rotating contemporary art exhibitions, NCRC Art offers thought-provoking art that gets the NCRC community thinking creatively. A complement to the art in NCRC’s Building 18 galleries, NCRC’s HighWire can be experienced on the ground floor of Building 18. HighWire, a room-scale interactive installation, explores technology-space integration, contemporary digital fabrication techniques, and the adaptation of the physical environment to support social interaction. Composed of nearly two miles of robotically-formed steel wire integrated with an array of microphones and motion sensors, HighWire blurs the boundary between physical architecture and the digital information world. It is a place where people across disciplines can contribute, interact, and share ideas, fostering creativity, and embodying NCRC’s unique collaborative environment. Reflecting another facet of health and safety, NCRC hosts periodic on-site StayWell® Wellness Screenings to help employees keep track of important numbers, including blood pressure, cholesterol, weight and height. Health professionals review the data and provide individualized recommendations. Other MHealthy programs offer weight management, ergonomics awareness, tobacco cessation, and support for mental and emotional health. MHealthy exercise and relaxation classes such as body sculpting, cardio, yoga, Nordic walking, and dance fitness are also among MHealthy’s NCRC offerings. There is also an Interfaith Reflection Room for prayer, contemplation, meditation, reflection, and practice in Building 14, Room D104. The Reflection Room is an inclusive and welcoming space for all NCRC occupants, who are of many diverse religious and non-religious backgrounds. In addition to taking advantage of the NCRC’s variety of health and wellness offerings, several NCRC community members ride bicycles to work, so bike racks are conveniently located all over campus. 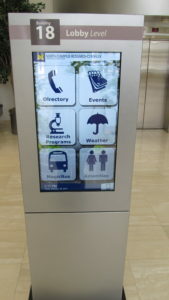 NCRC residents are also able to easily access other U-M campuses on university buses and the city of Ann Arbor AATA buses, which offer several quick routes to Central Campus, the Medical School and UMHS, and downtown Ann Arbor. 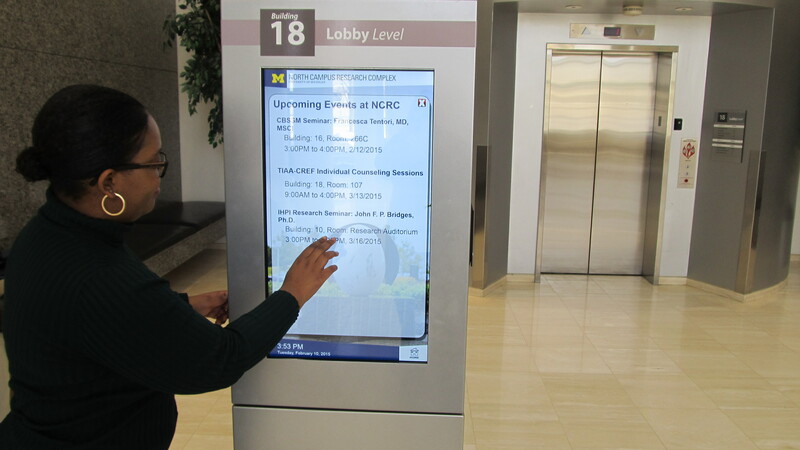 As U-M student Kritika Rajan noted, “I feel very well connected to the rest of the university while working at NCRC. It’s so easy for me to jump into a bus and commute between NCRC and the medical campus in 10 minutes.” NCRC has ample parking, including paid visitor parking, as well as a Park & Ride Lot within one mile of NCRC. In addition to conveniently located childcare and support for breastfeeding moms–the NCRC campus has four private lactation rooms with Wi-Fi–the North Campus Children’s Center (NCCC) cares for children ages 3 months to 5 years, offering childcare and early childhood education up to 12 hours per day year-round. The center also offers a summer camp program for school-age children. 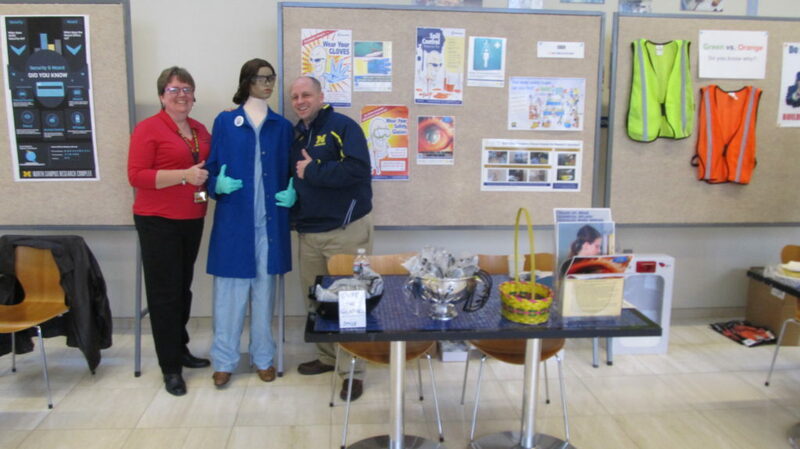 The NCCC is available to children of faculty, staff, and students, as well as Ann Arbor community members.